Enjoy Modern European cuisine at Ljusgarden, a restaurant which features a bar, or stay in and take advantage of the room service (during limited hours). A complimentary full breakfast is included. Make yourself at home in one of the 69 guestrooms. Bathrooms have showers and complimentary toiletries. Conveniences include phones and desks, and housekeeping is provided daily. At Vox Hotel, enjoy a satisfying meal at the restaurant. Wrap up your day with a drink at the bar/lounge. A complimentary buffet breakfast is served daily. You can enjoy a meal at the restaurant serving the guests of CITY HOTEL, Familjen Ericsson, or stop in at the snack bar/deli. Meet other guests and eat at the complimentary reception. Quench your thirst with your favorite drink at the bar/lounge. A complimentary hot/cold buffet breakfast is served daily. Satisfy your appetite for dinner at the hotel's bar, The Bishops Arms, or stay in and take advantage of the room service (during limited hours). A complimentary hot/cold buffet breakfast is included. 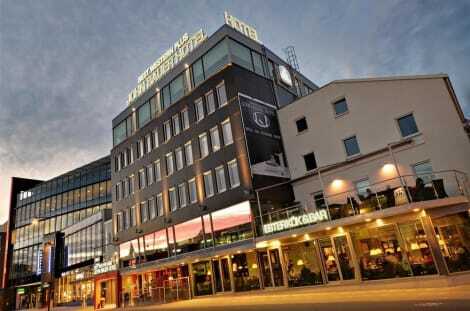 You can enjoy a meal at Karlssons serving the guests of Scandic Portalen, or stop in at the grocery/convenience store. Quench your thirst with your favorite drink at the bar/lounge. A complimentary buffet breakfast is served daily. Featured amenities include multilingual staff, luggage storage, and an elevator (lift). Planning an event in Jonkoping? This hotel features 4950 square feet (460 square meters) of event facilities. Free self parking is available onsite. lastminute.com has a fantastic range of hotels in Jonkoping, with everything from cheap hotels to luxurious five star accommodation available. 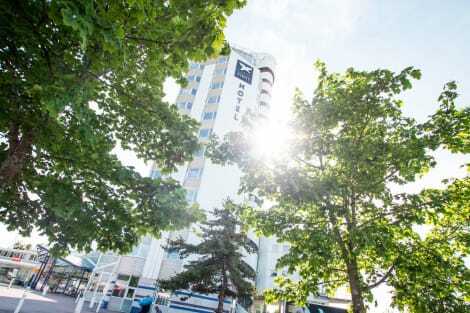 We like to live up to our last minute name so remember you can book any one of our excellent Jonkoping hotels up until midnight and stay the same night.